Focusing on your family first and providing you with an exceptional experience. 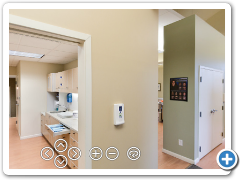 Go behind the scenes of our office before your dental visit. 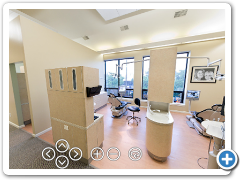 Our main focus at Aesthetic Dentistry in Charlottesville is you and your health. But we go a step further by taking an avid interest in the cosmetic results of our work. 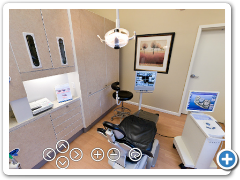 As you take our office tour you will notice the wonderful technology we use to give you a beautiful smile. We hope you enjoy your tour! 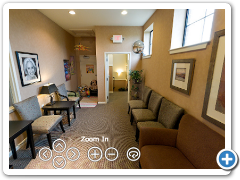 Our family-friendly practice is devoted to bringing first-class dentistry to people of all ages. Everyone is so very nice and kind. I felt that my needs were the top priority and they made me as comfortable as possible. I'm so glad I transferred to this dental office. Offering preventive, cosmetic, and restorative dentistry. Discover what our current patients are saying about ADC. Treating all members of the family as individuals.